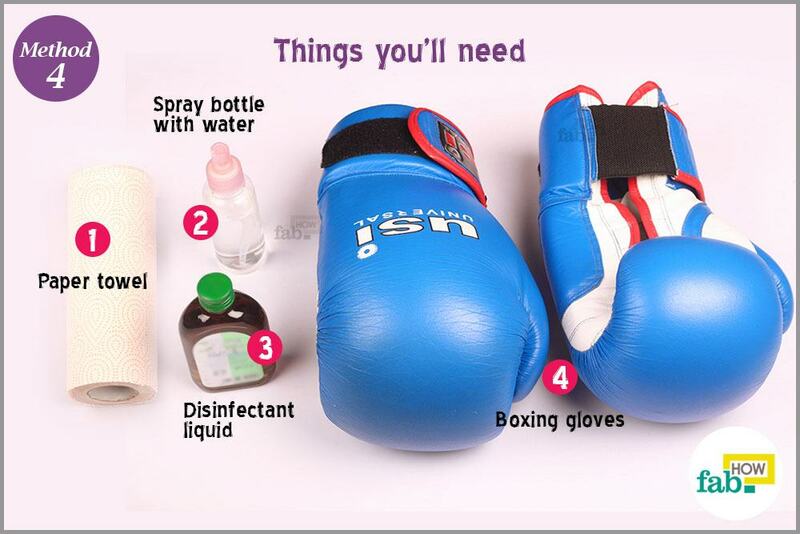 Whether you are an aspiring boxer or an expert like Muhammad Ali, the smell of sweaty gloves after an intense boxing session is something that all boxers deal with. The sweat that accumulates in the gloves during a sparring session provides the necessary moisture to make them a fertile breeding ground for bacteria. This bacterial growth, in turn, results in stinky gloves. Unfortunately, the stench from the gloves is a routine affair in a life of a boxer. 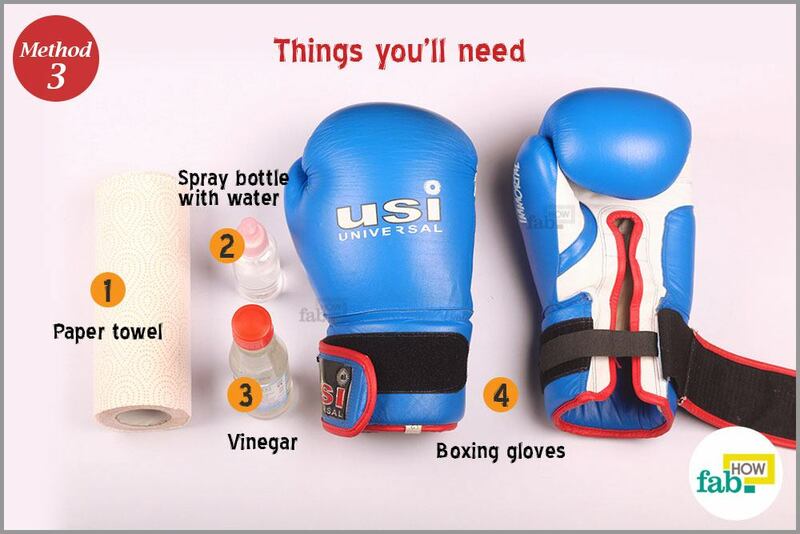 Thankfully, there is no need to learn to live with the foul odor when you can keep your boxing gloves clean and odor free by various methods. Spray some water on a paper towel using a spray bottle. You can use a tissue too, but be sure it’s a thick one. 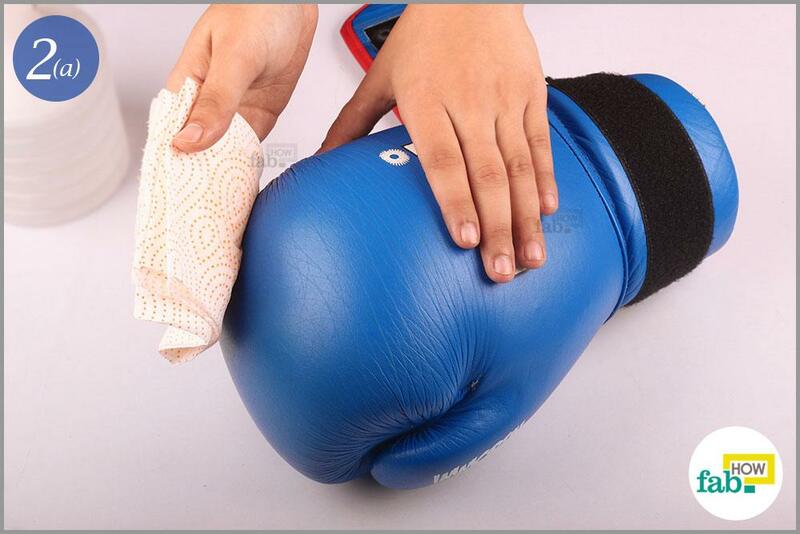 Clean the exterior of each glove with that damp paper towel. 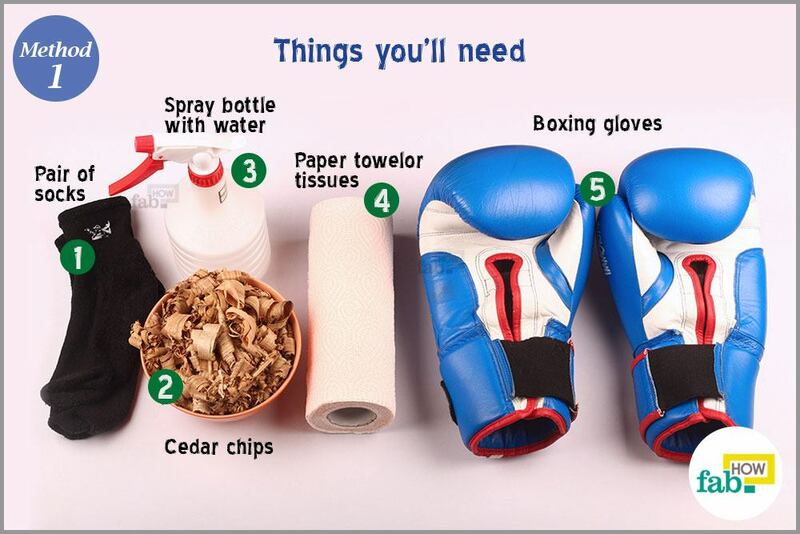 Clean all the parts of the gloves that are made of the same exterior material. If your gloves are made of leather, don’t use water on them. 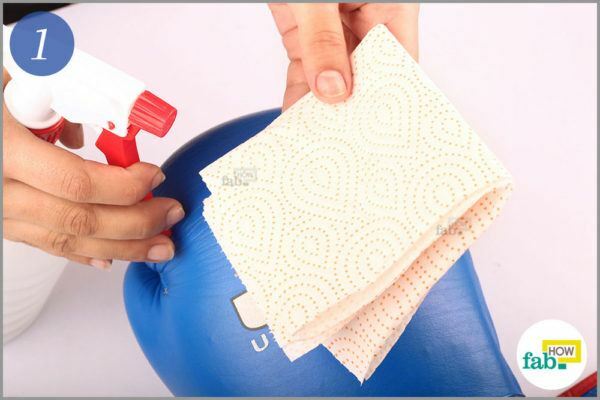 Instead, use leather wipes to clean the exterior. Cedar shavings are quite popular for removing moisture and unpleasant odors from shoes. They give off a nice but peculiar aroma, due to the aromatic hydrocarbon compounds present in cedar chips. 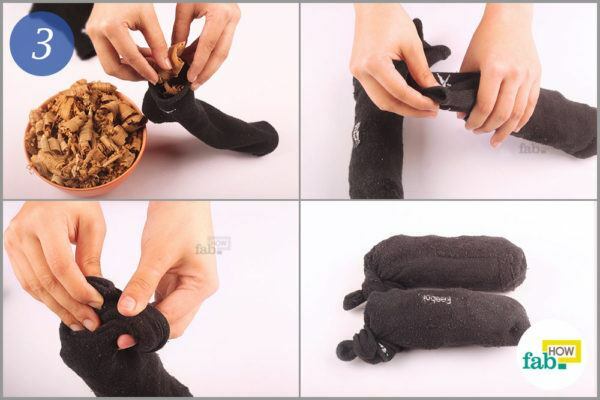 Fill both socks up to the top with cedar shavings. Tie a knot at the open end to prevent the shavings from falling out inside your boxing gloves. 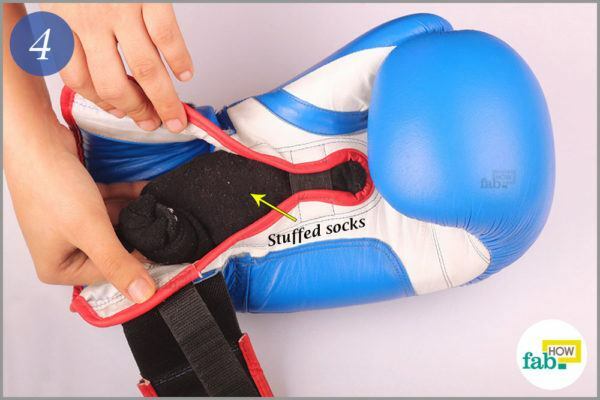 Now, insert the socks stuffed with cedar chips inside both the gloves. Leave the gloves for 24 hours. When you hold them the next time, the cedar will have absorbed all the sweaty moisture inside your gloves as well as that foul smell. Spray water on a paper towel or a thick tissue using the spray bottle. 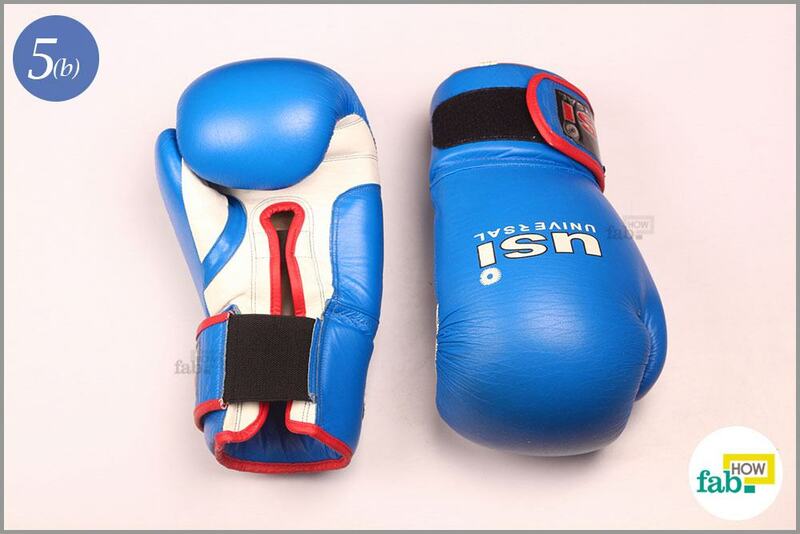 Clean the exterior of the gloves and all the parts that are made of the same exterior material. 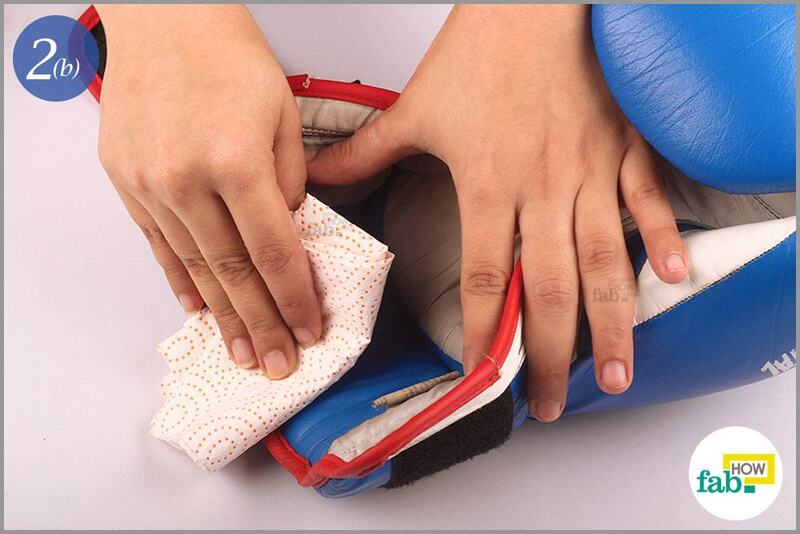 If the exterior of your gloves is leather, then use leather wipes instead of water and paper towel. Now, put baking soda inside a pair of socks. 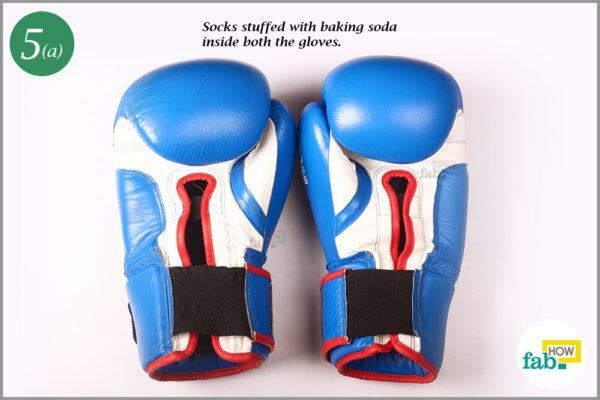 Insert the socks filled with baking soda inside both the gloves and close the straps. Alternatively, you can put baking soda on a paper towel or tissue and fold it to contain the powder. You can even put the baking soda directly inside your gloves. 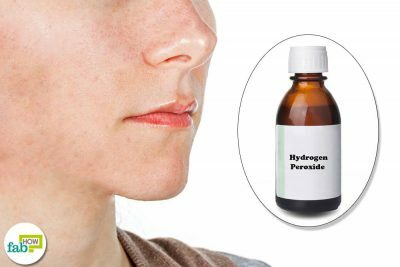 It will not harm your skin and will absorb the moisture. 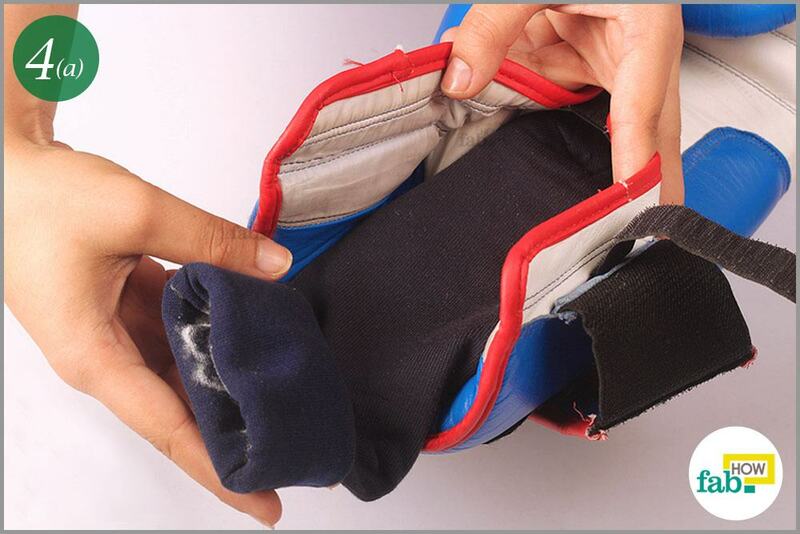 By the next day, the baking soda inside your socks will have absorbed the sweat and the stinky odor. 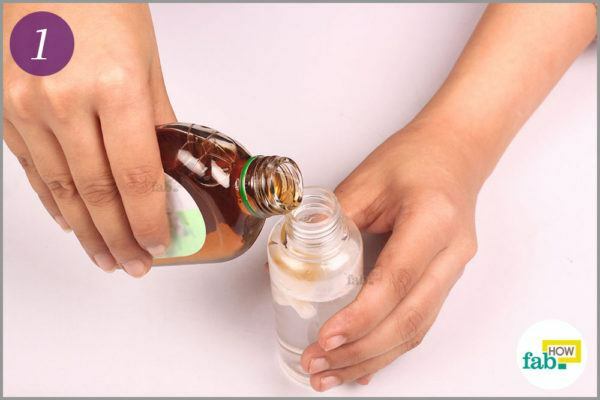 Put one part vinegar and two parts water by volume in a spray bottle. Spray the antibacterial mixture inside the gloves. Spray the mixture on a paper towel. 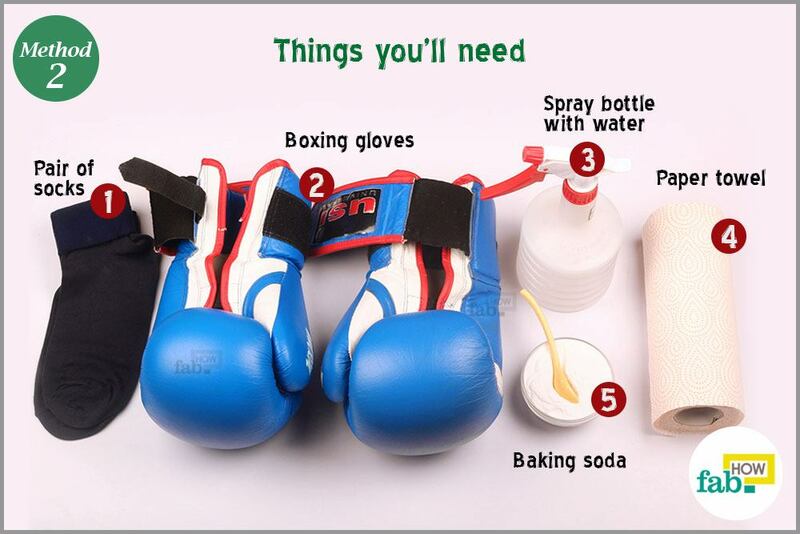 Instead of spraying the mixture directly on the exterior of the gloves, use the damp paper towel to wipe the exterior clean as well as any other parts made of the same material. Again, do not use this liquid mixture on leather exterior. Instead, use leather wipes. 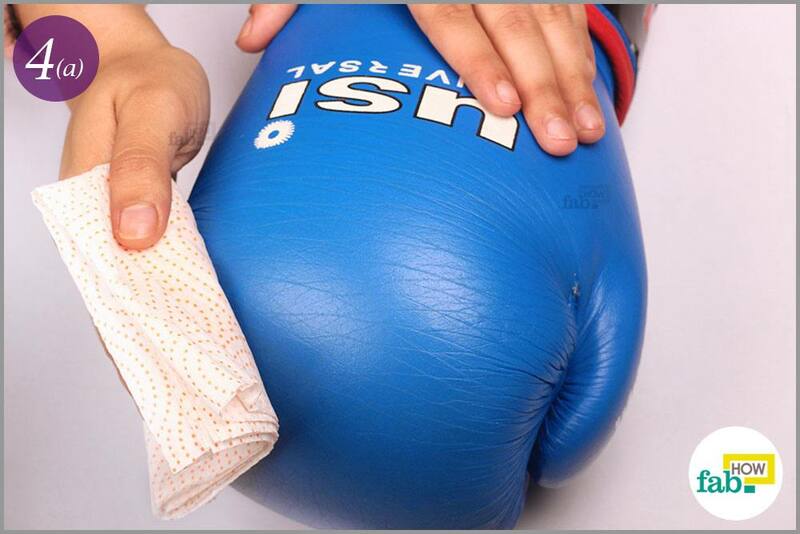 This method is useful for daily upkeep of your gloves. It will prevent any bad odor from building up inside them. Mix 10 drops of a disinfectant liquid in ¼ cup of water. 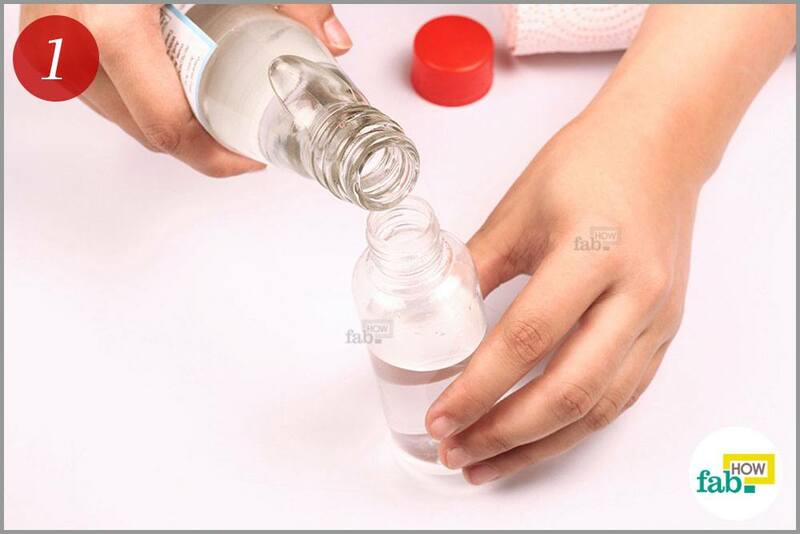 Pour the mixture into a spray bottle. Spray the disinfectant mixture directly inside the gloves. For cleaning the exterior of the gloves, spray the antibacterial mixture on a paper towel or thick tissue. 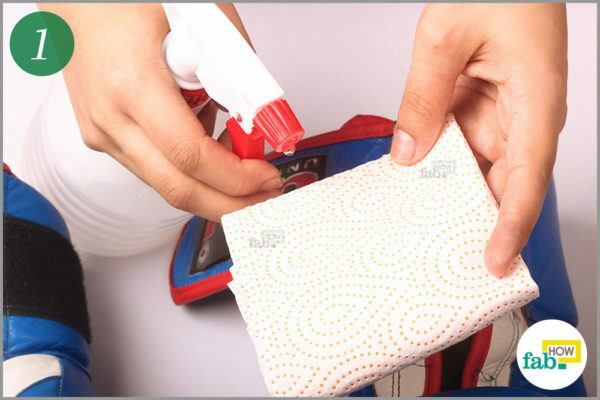 If the exterior is not made of leather, then wipe the exterior and all the parts of the gloves made of the same material with the damp paper towel. If the exterior is made of leather, use leather wipes instead of this mixture. This method, again, is good for daily upkeep and not quite effective for removing pungent odor. 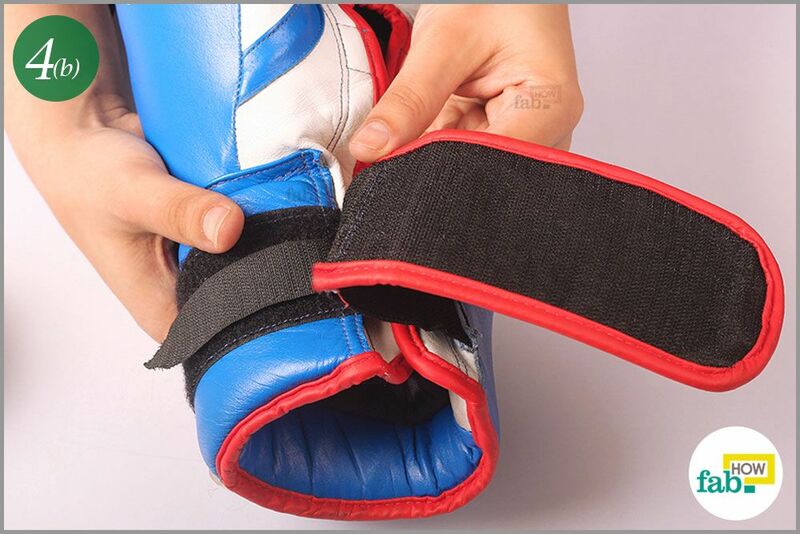 Put wrist wraps on your hands before putting on your gloves to absorb some of the sweat and prevent a pungent odor. 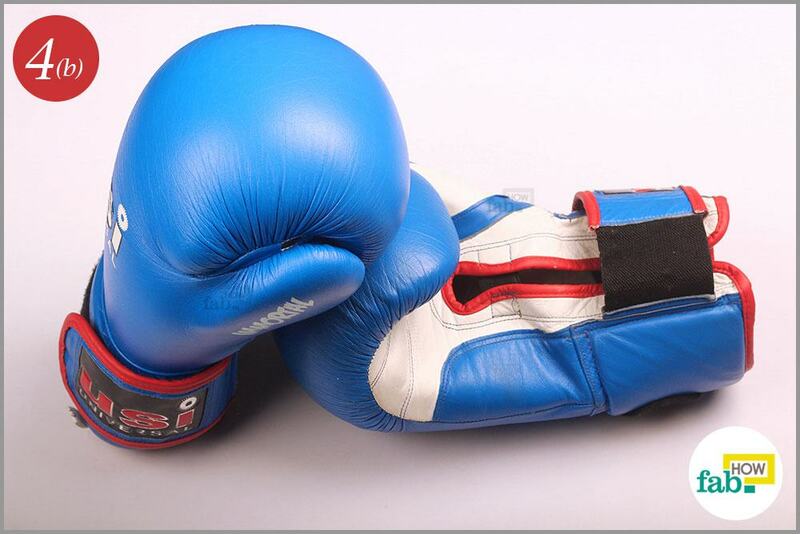 After training or a sparring session, do not put your gloves back in the gym bag. 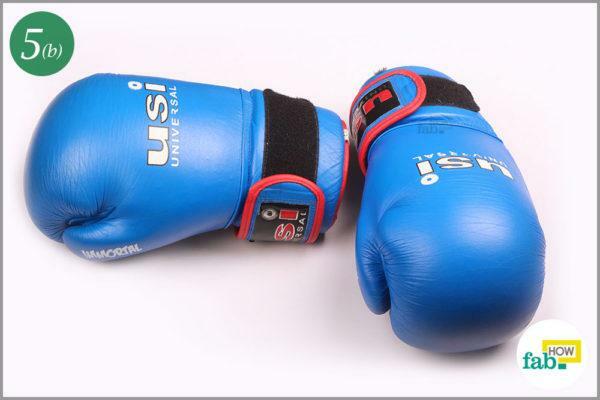 Air dry your gloves to allow any trace of moisture to dissipate. You can dry your gloves outside, but not under direct sunlight. 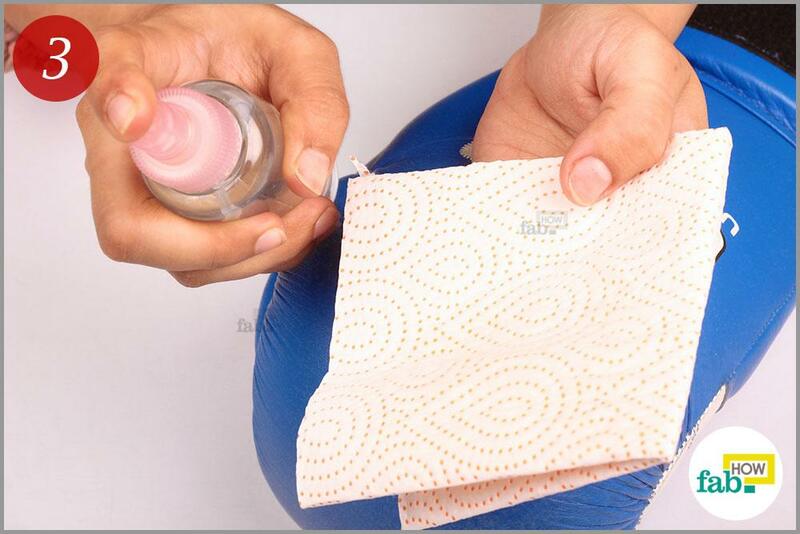 You can spray air freshener in silica gel packets and place them in your gloves to remove the odor. Instead of making a disinfectant mixture, you can use Lysol or FeBreeze spray to kill any bacteria inside your gloves. For leather gloves, you can buy leather wipes available at any auto accessories shop. Apply leather conditioner on your leather exterior for longer life. 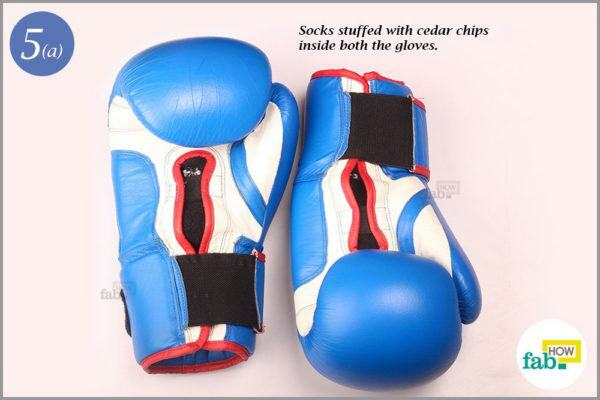 You can put your gloves in a zipped baggie and put them in the freezer for 24 to 48 hours to remove the smell. 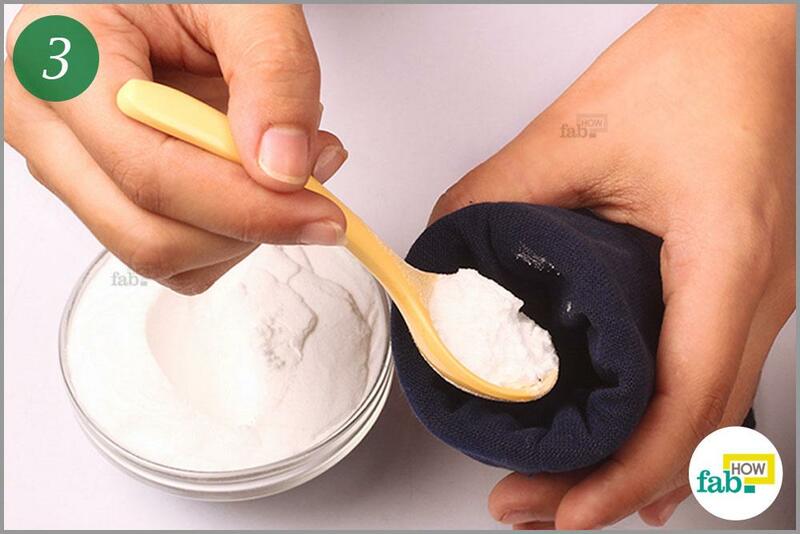 Baby powder also has proved effective in removing moisture as well as stench from the gloves.